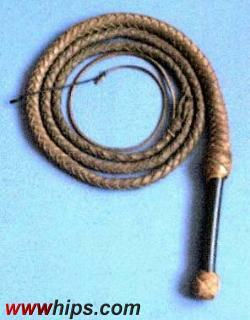 Mexican swivel handle bullwhip, 8ft/8plait. This whip (8ft/8plait) I got from a hobby whipcracker. I repaired it, putting on a new fall. It´s in use again.